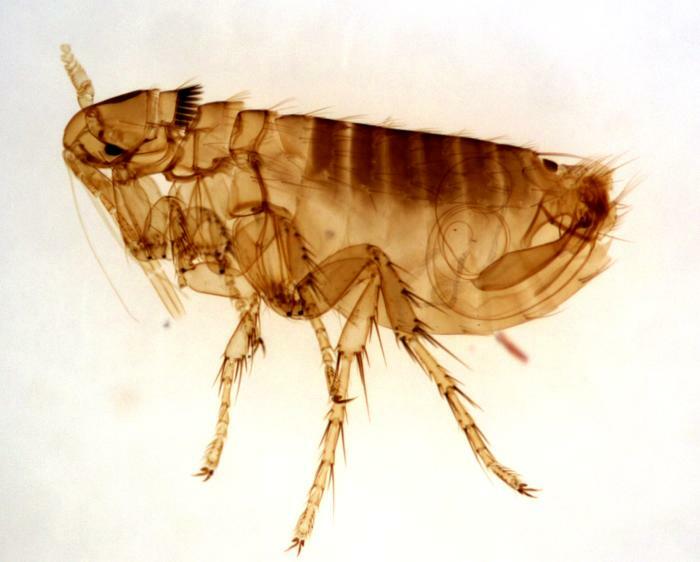 Fleas are the insects forming the order Siphonaptera. 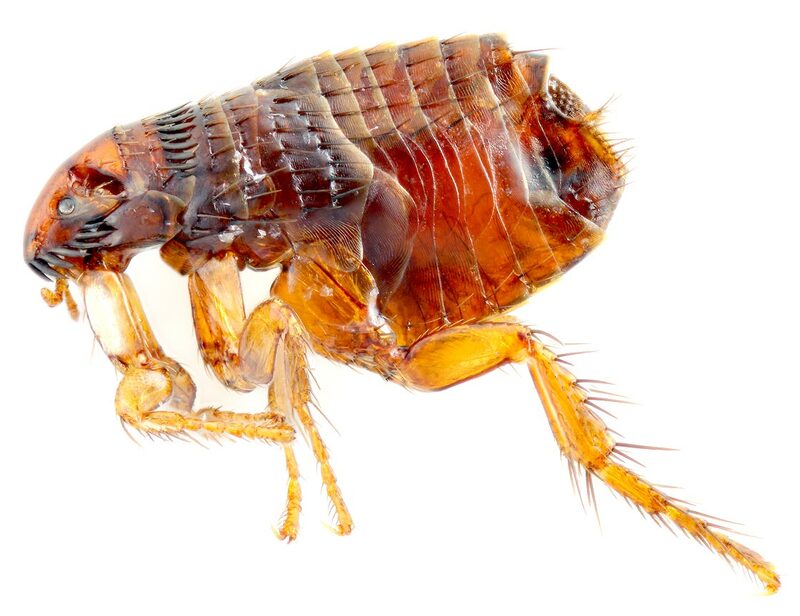 They are wingless, with mouthparts adapted for piercing skin and sucking blood. 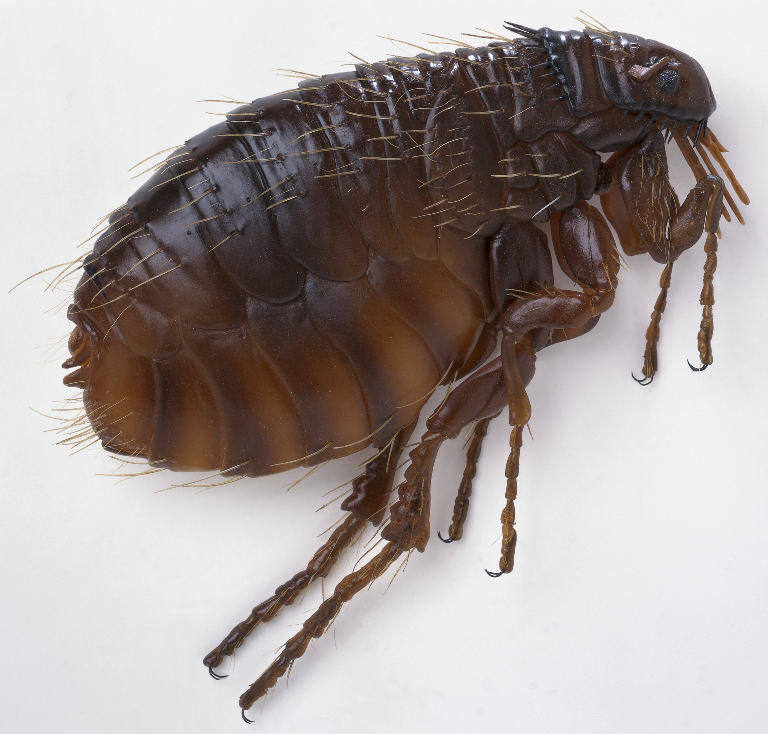 Fleas are external parasites, living by hematophagy off the blood of mammals and birds.Fleas are wingless insects (1/16 to 1/8-inch (1.5 to 3.3 mm) long) that are agile, usually dark colored (for example, the reddish-brown of the cat flea), with tube-like mouth-parts adapted to feeding on the blood of their hosts. 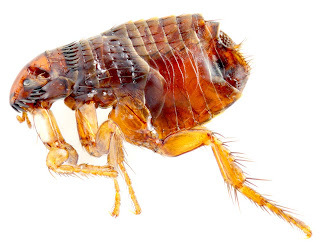 Their legs are long, the hind pair well adapted for jumping: a flea can jump vertically up to 7 inches (18 cm) and horizontally up to 13 inches (33 cm), making the flea one of the best jumpers of all known animals (relative to body size), second only to the froghopper.